For the past year or so I have been hunting for teak for the bulwark caprails, for new coaming boards and for new covering boards that will cover the winch islands and the cabin bases at the forward end of the cockpit. All told I need a little over 100 board feet of teak. The challenge of finding clean, reasonably priced teak is complicated by the fact that for the coamings I need at least 10 inches of width; for the covering boards I need 14 inches. 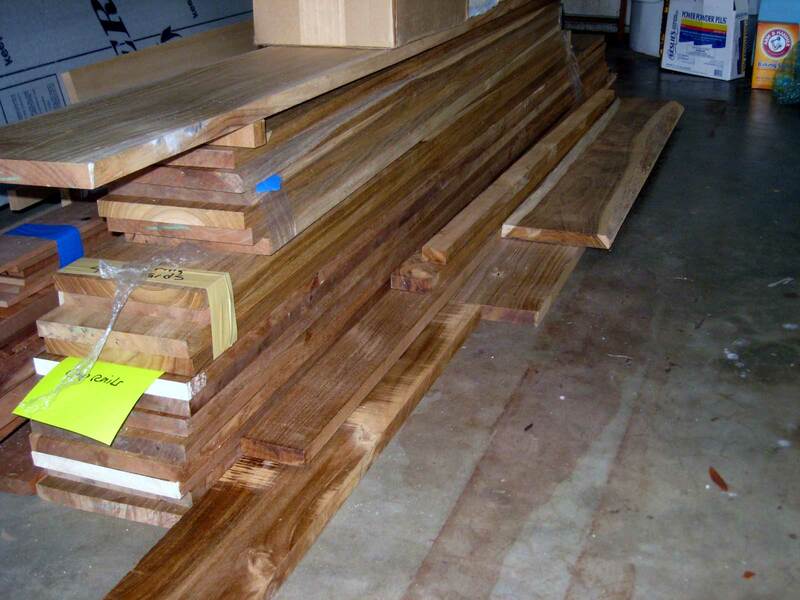 To make a long story short, I found a great source of plantation grown teak in Sarasota ( http://www.uniqueamericanteak.com ). The teak they cut from plantations in Costa Rica is at least 25 years old, a totally renewable product that is FSC certified as a green product and prevents destruction of old growth teak as well as the surrounding rain forests. 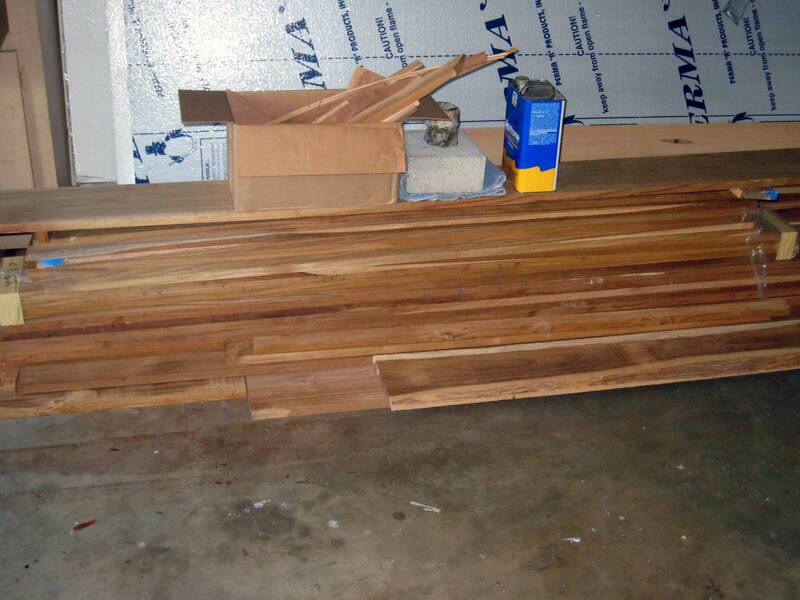 Here's what 100+ bf of 8" wide teak looks like--not much. The board being encouraged to warp is the cap rail for the stern. The boards will be joined to get the width I need for the coamings and the covering boards. The couple of planks on the floor to the right of the stack is some teak I bought on eBay: mostly crap and useless. 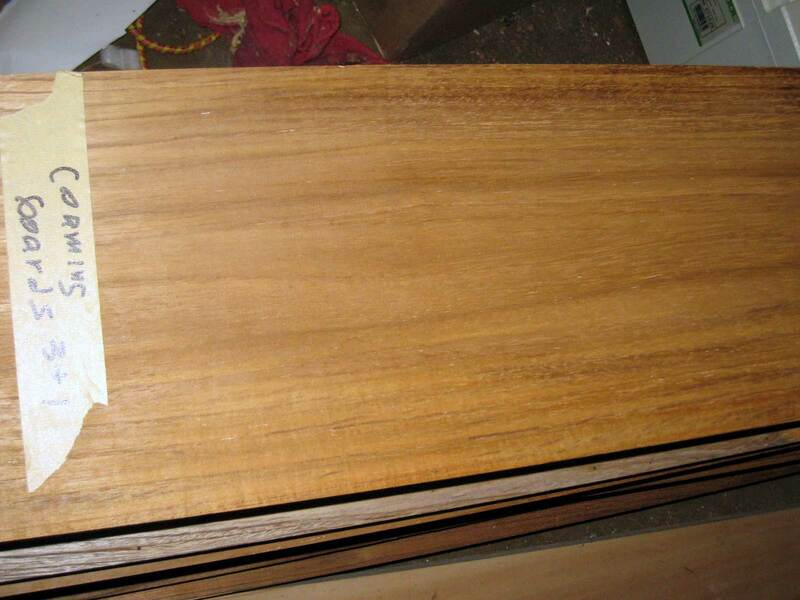 The teak is very clear and should look very good when it is all installed. Now I need to make a jig for my router to cut the scarf joints and the butterflies. Stay tuned.